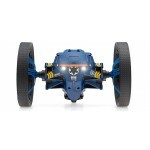 Jumping Night Drone makes precise turns and grips the road. 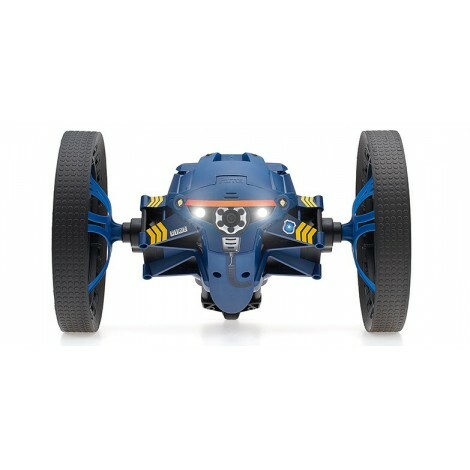 Control it with your fingertips and enjoy three different piloting modes : 1. Jumper Mode: Jumps up to 80 cm/2.5 feet in height and length, and always lands on its wheels. As soon as you pick-up the Drone, the lights will turn red notifying you that the jump is disabled. 2. Kicker Mode: The springs enable Jumping Night Drone to push objects in its path. 3. Auto-Balance Mode: Jumping Night Drone is perfectly balanced on the two wheels. The Road Plan feature enables you to program a sequence of acrobatic moves, sounds and lights to be the king on the dance floor. Once you have programmed a sequence, it appears amongst the pre-defined tricks of your Minidrone. 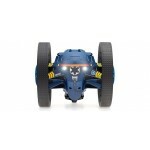 Jumping Night Drone offers two wheels positions for different stability levels : 1. Open Wheel Mode: The wheels are open for greater stability in high-speed driving. 2. 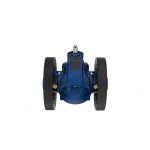 Retracted Wheel Mode: The wheels are retracted or in compact mode to enhance agility and maneuverability through narrow areas. 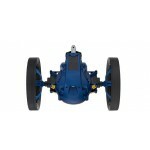 The Jumping Night Drone embedded technology ensures perfectly straight driving paths and precise turns!